The ordinary electric transfer car can be manufactured by general factories. However for the specific purpose transfer cars, they have no idea. 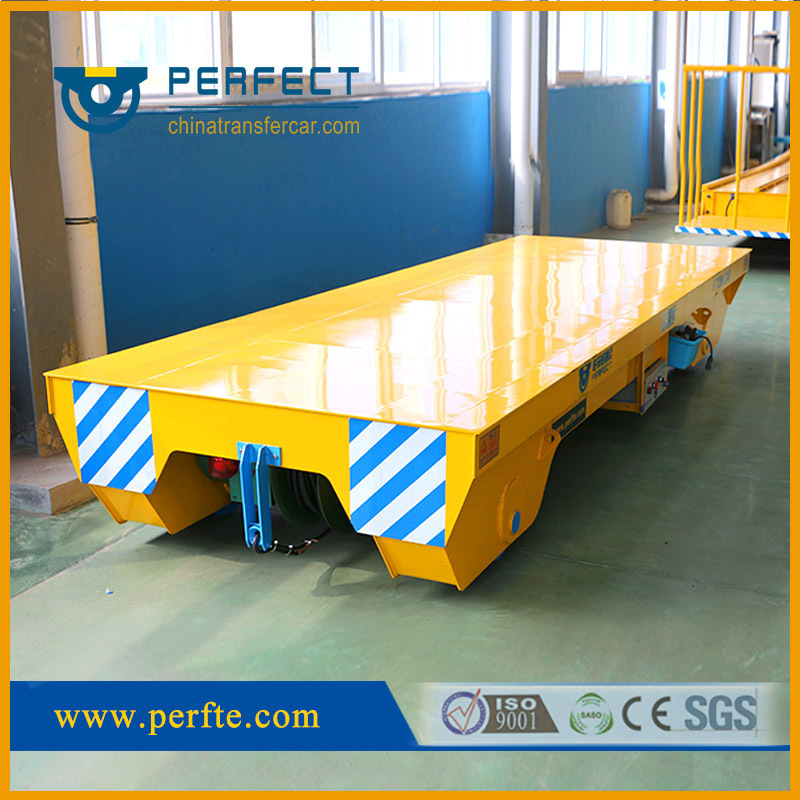 But there is no any problem for Henan Perfect Handling Equipment Co., Ltd. We can not only offer standard transfer carts, but also customized according to clients’ requirement. Our cart can realize automatic power off when no man operates within 5 minutes after being optimized to the standard transfer cars. The works always operate the electric transfer car as operating instruction, so they used to throw the pendant or the remote controller to other place, and forget to turn power off when leaving off work. This kind of behavior has some disadvantages. First, it is not safe. Second, it wastes power. Third, it will reduce the using time of transfer cart. In condition of these disadvantages above, our company design and develop one new type power-saving transfer car, which can realize automatic power off if there is no worker to operate this car within 5 minutes. You need to restart the power for using again. This mechanism greatly enhances the security and energy efficiency.